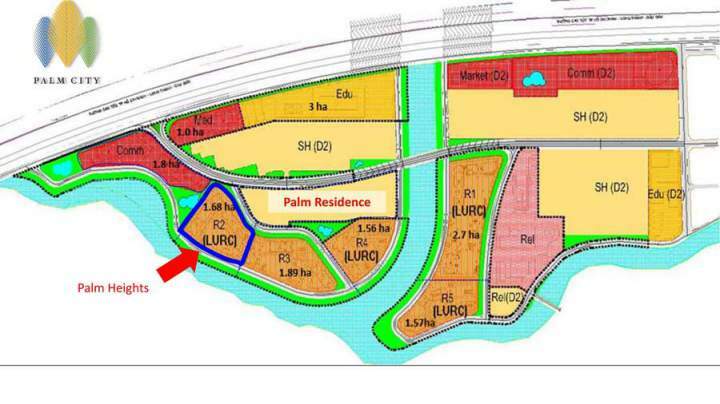 Palm City is a prominent project in the East of Ho Chi Minh City real estate market. It recently creates a great attention from a large number of customers and real estate investors. 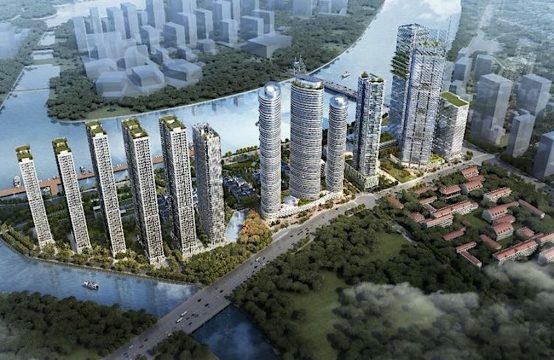 The Ho Chi Minh City real estate market at the end of the year has become increasingly active with a series of real estate projects being opened for sale. The Palm City project is promising and opens the door to an ideal home. This is a great investment opportunity for real estate investors at the present time. Palm City seems to be blowing a new wind into the East real estate market and creating a new atmosphere for the high-end real estate segment, which is home to many big players in the market. This is interesting figures. The Palm City real estate project is located in the heart of District 2. 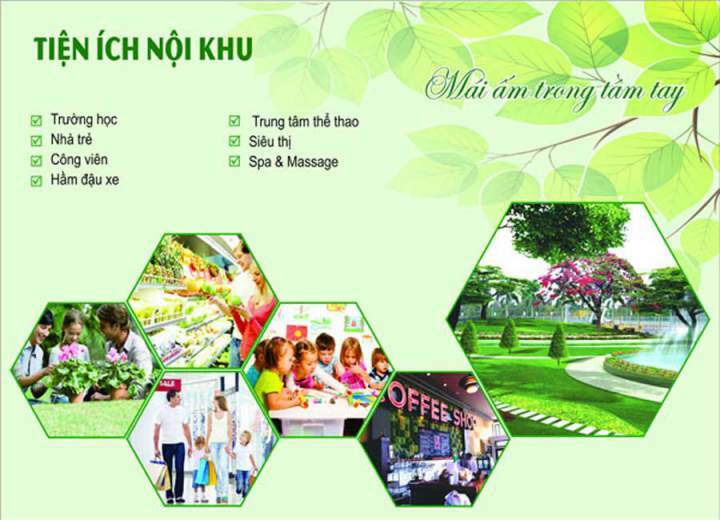 In detail, this project is located in Song Hanh Street, the South of Rach Chiec, An Phu Ward. This is considered to be prime because it is located in the whole urban area of Nam Rach Chiec where promises a lot of prospects for future development. Especially, District 2 is planned to become the new administrative center of Ho Chi Minh City. 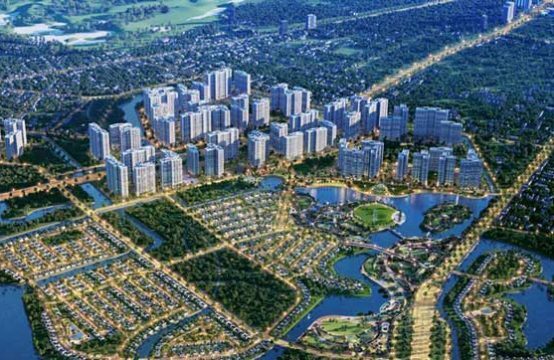 In addition, the project Palm City District 2 adjacent to the Giong Ong To River and many important routes to connect with the central district and the immediate vicinity. Palm City is located in the prime location in District 2 of Ho Chi Minh City with convenient transportation system along the Giong Ong To River. The most prominent real estate project in District 2 is invested by three well-known investors. The first is Keppel Land, which belongs to Keppel – Singapore’s largest multinational corporation. It is also a pioneer and reputable real estate investor in Vietnam, which has been successful with a number of prominent projects such as Villa Riviera, Riviera Point, The Estella or Estella Heights. The second is Tran Thai Co., Ltd. with a 15-year history of real estate business. 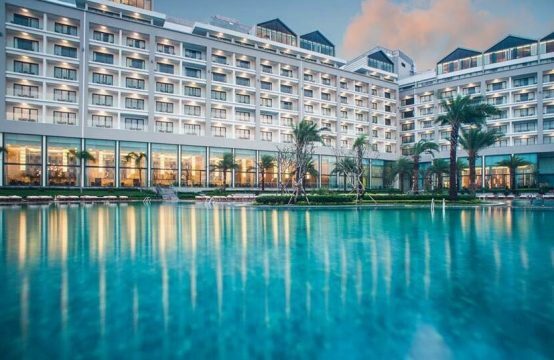 The third investor of the Palm City project is Tien Phuoc Real Estate JSC which has been successful with major projects such as Empire City, Le Meridien Hotel or Senturia Vuon Lai. These are well-known investors in the southern real estate market. It always makes difference with outstanding quality and innovation in the real estate market. Palm City Keppel Land has a total of 29 internal and external facilities that meet the needs of residents. Including a standard swimming pool, multi-purpose gymnasium, badminton court, outdoor barbecue area, entertainment club, children playground, shopping area, school system and hospital. In addition, it has the green living space with waterfall, hanging gardens, green park system, and walking stroll. It can be said Palm City brings luxury and convenient life for families. Palm City District 2 likes a small city in the heart of South Rach Chiec urban area. The total land area up to 30 ha and is surrounded by 2.7 km of Muong Kinh canals and Giong Ong Tot river. 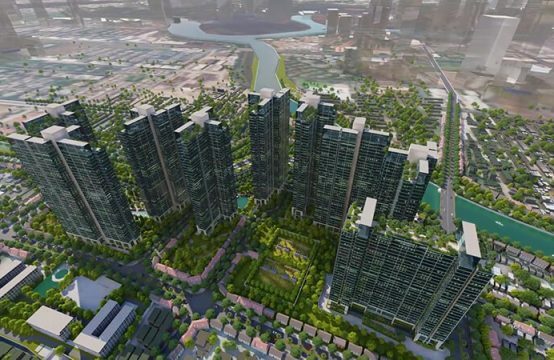 This project of Keppel Land and Tran Thai – Tien Phuoc coalition is divided into two main areas: the high rise Palm Heights apartment area, the low rise Palm Residence commercial and residential area. The project is covered by the system of office buildings, various facilities from the commercial center, international school, hospital, the green system. The price of Palm Heights apartments is about $1400/sqm, in which the price of raw materials is about $ 1200-1300/sqm, the finished basic furniture is about$ 1400-1500/sqm. This is the lowest price among Keppel Land’s projects to date and the most competitive on the East and Central real estate market. This creates the opportunity to have an ideal home and a promising return on investment. The multi-purpose and luxury system creates a comfortable, luxurious lifestyle for Palm City residents. The Keppel Land’s Palm City apartment project was built 3 high-rise towers with a total of 35 stories, not including a common basement. According to detailed and meticulous architectural designs, the apartments are flooded with natural light and the cool wind from Giong Ong To River. At the same time, from the balcony of the apartments, residents can enjoy watching the beautiful scenery around the District 2. The low-rise area of the Palm City project in District 2 is 3ha, in which the number of adjacent townhouses is 135 units, 14 duplex villas and 11 shop-houses. Especially, the adjacent townhouses are built separately for each house. This is the unique point of Palm Residence that few other projects in the market have. The number of Palm Heights apartments in the Palm City Keppel Land project is about 3,700. Among them, 538 apartments with the area of 76 – 85sqm with 2 bedrooms and 378 apartments with the area from 105 – 123sqm with 3 bedrooms. All apartments are airy and welcome natural wind, modern design with airy balcony. In addition, the density of Palm Heights apartments is low with only 8 apartments per floor to ensure the most convenience for the residents, especially the security system and the elevator. 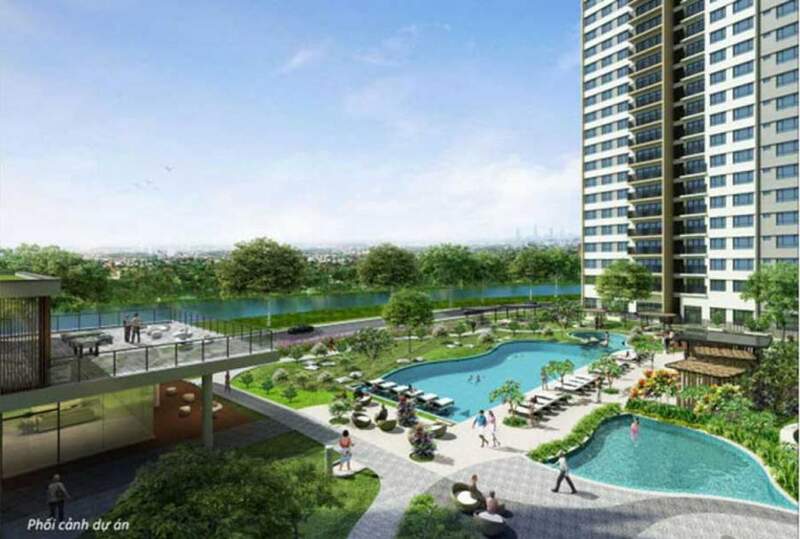 Expected to September 20119, Keppel Land investors will hand over the apartments to customers in accordance with the commitment agreement with customers. Currently, 100% of townhouses and villas are open for sale. In early October, Palm Heights apartments can be opened semi-officially. These are the numbers related to the Palm City project. It is hoped to help clients and investors to understand the basics of the successful Keppel Land project. Palm City is not only an ideal place for families but also a place where the positive values of life are built, created prosperity and peace for families. 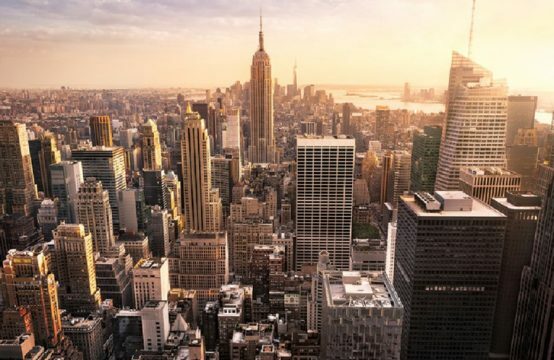 At the same time, the project also opens the prospect of large profit for investors to seize the opportunity right now. For more information, please contact the Palm City Business Department directly at Hotline: 0909 890 897 for the best advice and support.